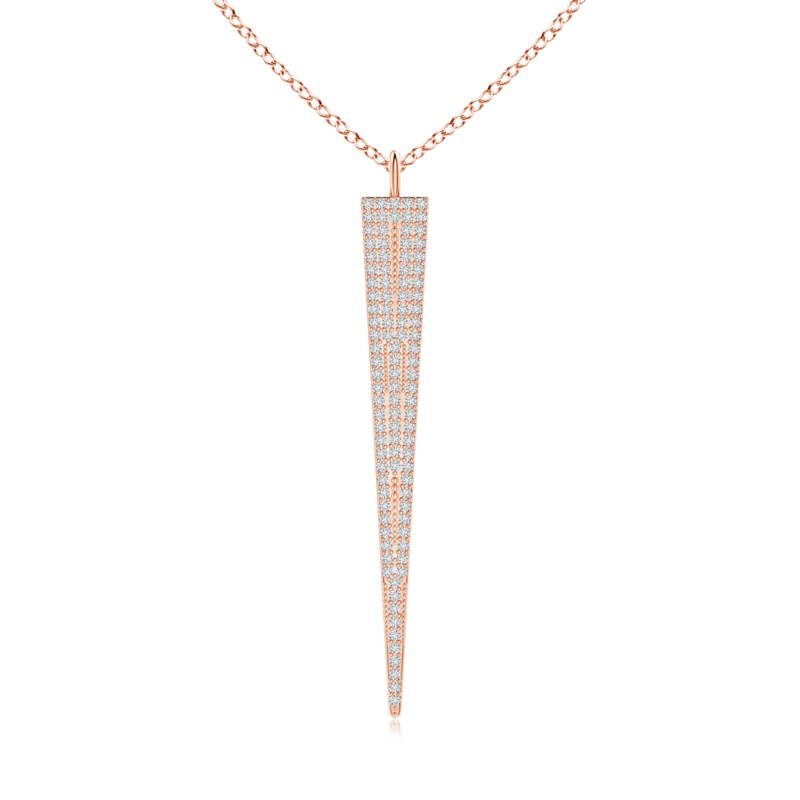 Glamour is personified with effortless ease by this captivating and flawlessly designed elongated triangle necklace. It showcases splendid lab grown diamonds that have been prong set on an expertly crafted large triangle frame. The 14k white gold metal uplifts the allure of the stylish design and creates the perfect backdrop for a fashionable piece of jewelry. Radiating the right blend of quality and beauty, this diamond triangle necklace is sure to garner admiration.